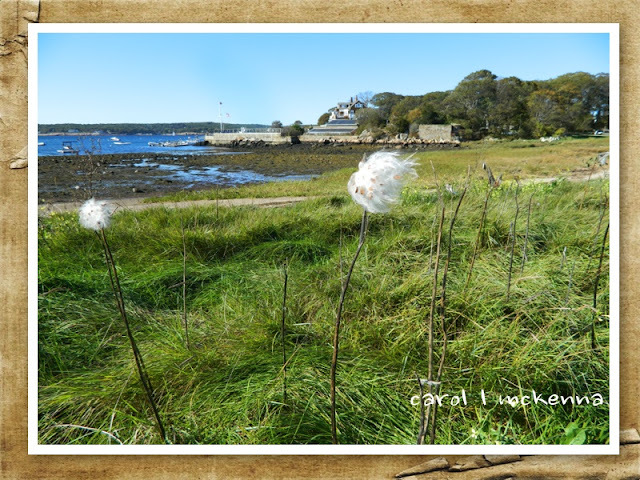 TUESDAY'S POST ~ The world turns and brain spins with words, visuals and other creative ideas. I need another assistant to keep my life on track. Choices, always choices, grateful. Hope you will explore the wonderfully creative blogs listed above and support them with great comments. Always great to have you 'visit' ~ come again soon ~ have a wonderful and loving week. Beautiful photos! I love how blue the water is in your first picture. Breathtaking! love to visit here, always so pretty, you create a harbor that is a pleasure to see....I really like the photos of the beaches and a thoughtful quote as well. cheers. A lovely harbour shot Carol! Those blooms look like something right out of a Dr, Seuss book! What a lovely place. The water is so inviting. Great photos of a very beautiful harbor. Soft, mighty, respectful, excellent combination of adjectives to describe a harbor. Powerful men should be like this. I love the pictures too. 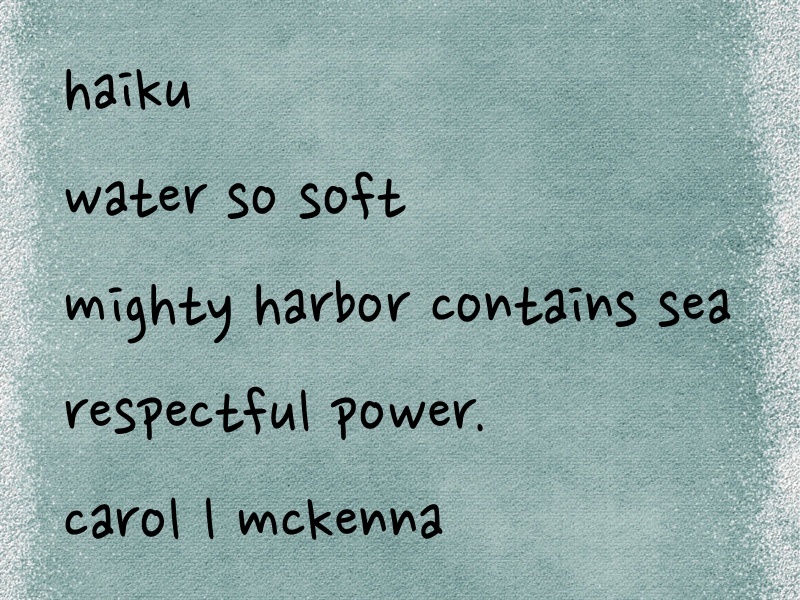 Lovely shots of the harbor and I like the haiku too. Lovely captures and the haiku reads good. Such a lovely place, beautiful water and wonderful captures for the day! A great look at your world, Carol!! Hope you have a lovely week! The water is so amazingly gorgeous in both your shots. I, too, find things around the coast interesting. Love your photos and haiku. You even through in a thoughtful quote for good measure, or did Art Muse Dog do that? It's always a pleasure to visit your weblog Carol. It amazes me everytime that you are that creative with painting, photo and haiku. Really stunning to read your post. 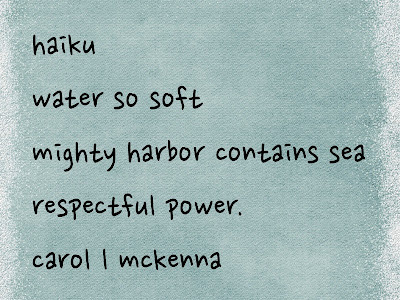 This haiku ... is wonderful ... very well in balance and strong in the chosen words 'soft' 'mighty' and 'respectful'. Great one. Thank you for sharing. lovely scenes. wonderful composition on the first photo. What wonderful blues in these shots. Hi there - I love those fluffy seed head looking sort of things (which I believe is their technical name!). I think me and the bees were the only ones who were relaxed about the whole "bees in the street" thing! Hi Carol & Art Muse Dog, I do think you live in Heaven. One of my favorite poems is "Afternoon on a Hill" Edna St. Vincent Millay. Have a great day! I think you live in Heaven. A favorite poem is "Afternoon on a Hill" by Edna St. Vincent Millay. · Thanks for your visit to my blogs. Beautiful words and photos! And I do love how the internet connects us and makes the world so much smaller! Carol, isn't your assistant keeping up with everything, that you need another? hello Carol!! oh, those photos are just beautiful!! Such a lovely place to be. Your haiku is so profound. I like the balance of power and tranquility in this piece. 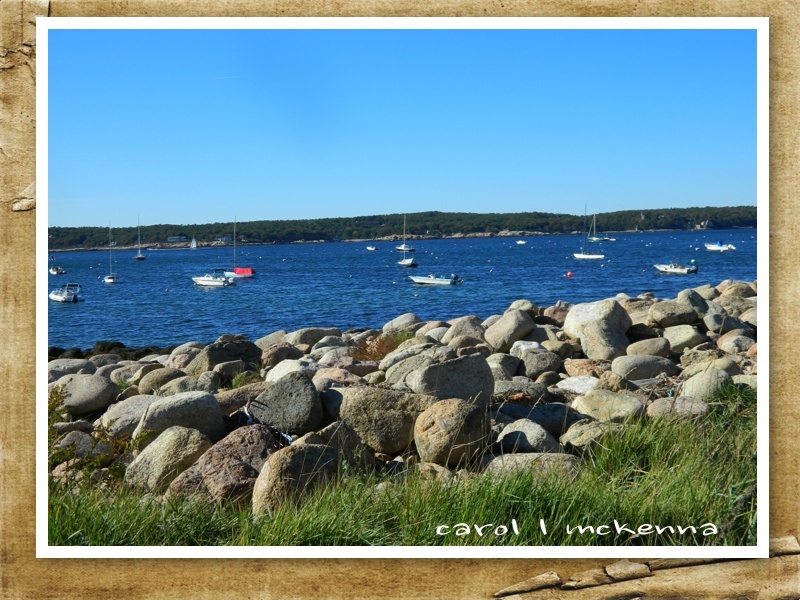 I have only been to Maine once but I loved it. Your pictures always make me want to go back. Maybe one day we will be able to enjoy a cup of tea together in your beautiful state.